If you watched my 'What I got for Christmas' video you'll know that my husband was very sweet and bought me quite a few MAC brushes but unfortunately some that I knew I wouldn't use. I've never returned a make up product before but decided that I didn't want them to go unused so took the extra ones for an exchange. I wasn't sure what I wanted instead so I decided to try one of their foundations. 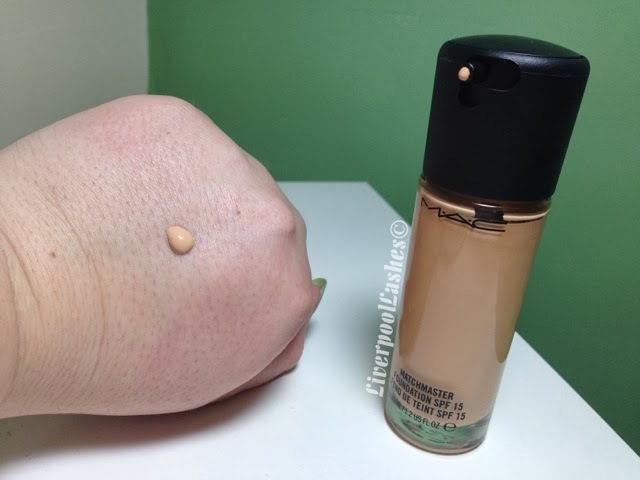 I've never used a MAC foundation before so I asked the assistant for advice and she gave me two options, one of them being the Matchmaster SPF 15 Foundation. She matched me to shade 1.5. The biggest selling point to me was that she said the pigments in it meant that it worked on a 1:1 ratio, one part foundation pigment to one part my natural skin colour. I hope I've explained that clear enough but basically it means that it works with your natural shade to get closer to your perfect match. It also means if you get a little tanned or equally go slightly paler, it should still match you. I do like the packaging, it's simple and classic. Surprisingly I do enjoy foundations with a pump although I was used to using Revlon's Colorstay for years without one, it's just a nice added extra for me. The store assistant did remove my make up and apply this foundation and under the bright shop lights it seemed to match perfectly. However when I got home and compared the bottle to my Bourjois Healthy Mix Foundation it looks a lot darker. 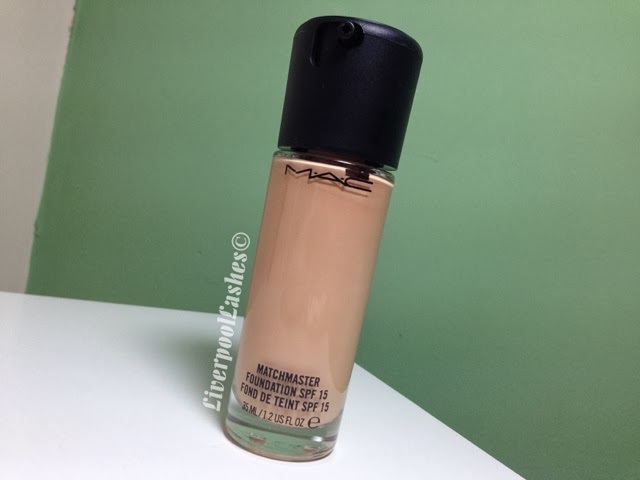 That aside it does seem to do as it claims and blend into my skin tone although honestly I don't know if I would go for shade 1 if I was to repurchase. 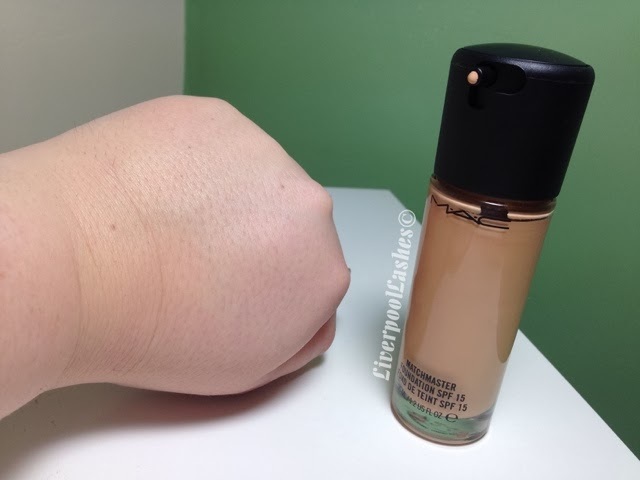 I'd say the coverage is medium but very build able and fairly long lasting. I don't like to pinpoint an exact amount of hours wear that I get from it because it totally depends on what I'm doing that day, how much I touch my face and other factors. Overall I'm really impressed with it. In the past I'd heard it was hit and miss with the MAC foundations, some broke people out, some are too heavy etc but neither of these have been an issue for me. 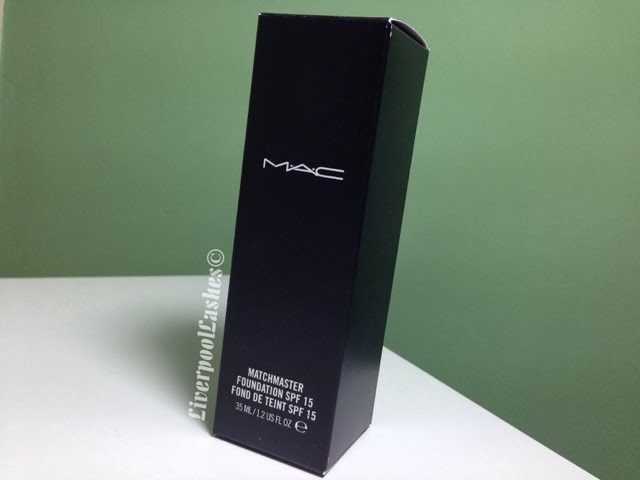 I would recommend it but as I say if I was to repurchase it I would probably go a shade lighter.